On September 15, 92YTribeca unveils the third edition of GeekDown, the annual gallery exhibit showcasing innovation in new media and self expression. 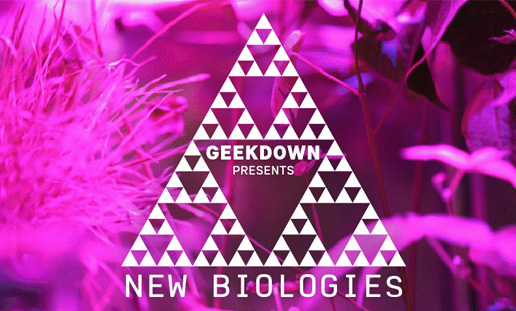 Entitled GeekDown Presents: New Biologies, this year’s installment focuses on the intersection of human technology and biological life, the organic and synthetic mechanisms overlapping and evolving around us. New Biologies features works by multimedia artists, computer programmers, scientists and designers for whom the story of our natural world is essential. GeekDown Presents: New Biologies kicks off September 15 with an opening night reception at 7pm, followed by a celebration featuring special interactive artworks and live performances by artists Merche Blasco, Jack Kalish, Steve Litt, Winslow Porter and Nick Yulman. Cutting edge art, video and performance examining the crossroads of biology and technology.